Ketane Falls is located in one of the most remote areas of Lesotho; the Ketane falls are only accessible by foot or on horseback. The falls have an impressive drop of 122 m, falling down into the narrow geological formation leading up the valley. 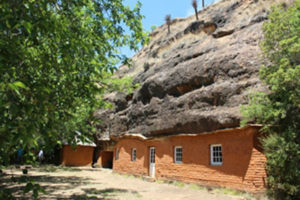 Is a part of an old mission house that was built into San rock cave by Reverend David Frederic Ellenberger in 1866. Today it functions as a small museum with some fine display of local history and culture. 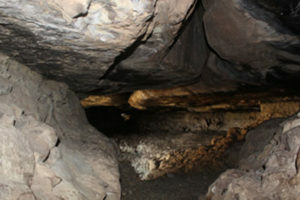 The cave of the cannibals that were led by a cannibal called Motlejoa. They used to chase people, slaughter and eat their human flesh. 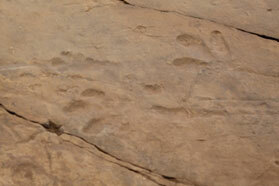 The footprints were discovered by David Frederic Ellenberger who was living at Masitise in a Cave. He arrived Lesotho in 1860 and discovered the footprints in 1960. 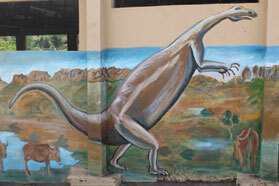 The dinosaurs are believed to have lived more than 200 million years in Lesotho.